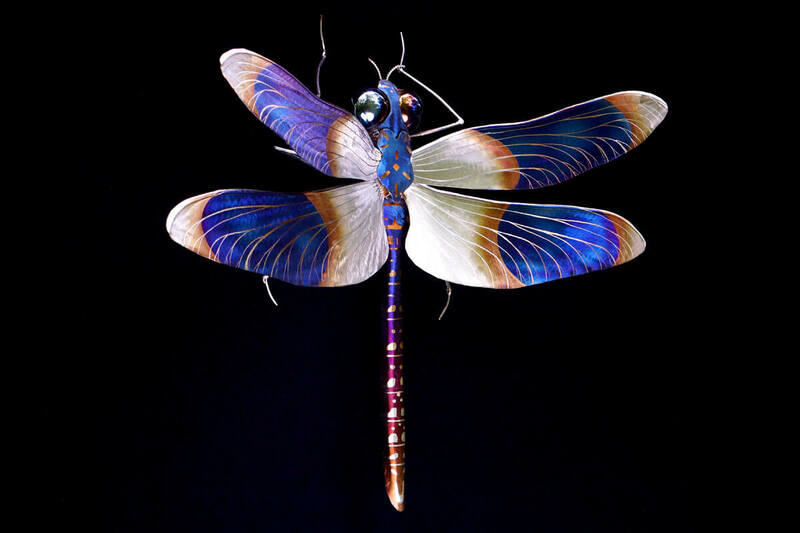 This handmade dragonfly sculpture is wall hanging and is made entirely of stainless steel. 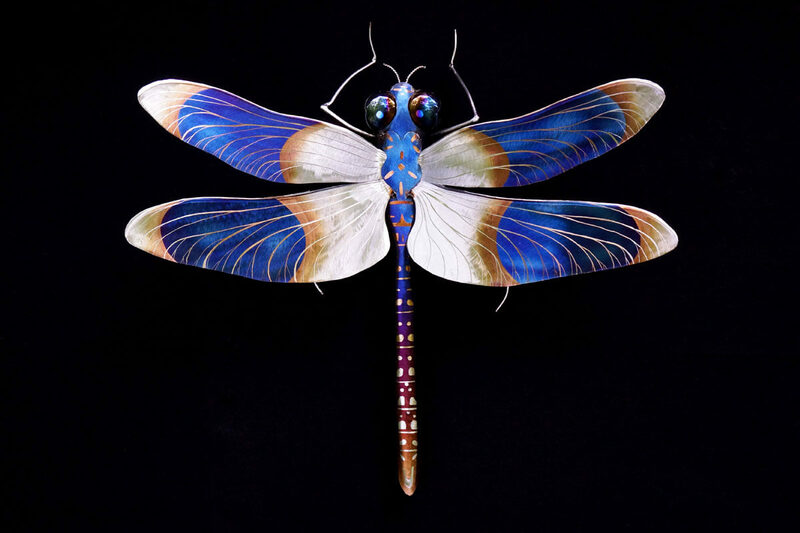 I was quite excited when asked to create a dragonfly for a new gallery as I find them to be delightful creatures. 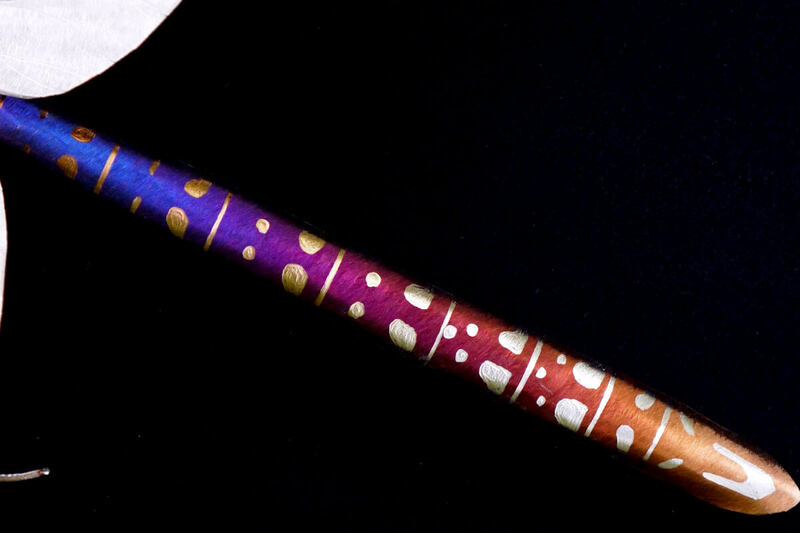 I was fasciated as a child and still as an adult when one darts into my awareness. I think my favorite part of this particular piece is the grind detail in the body. It was fun to have an initial color fade from blue to silver and then to fade the details on top of that initial coloring from orange to silver to create a layered color fade. Once that was done I just added on the wings, legs and then popped some ice cream scoops on for eyes and boom, Dragonfly! 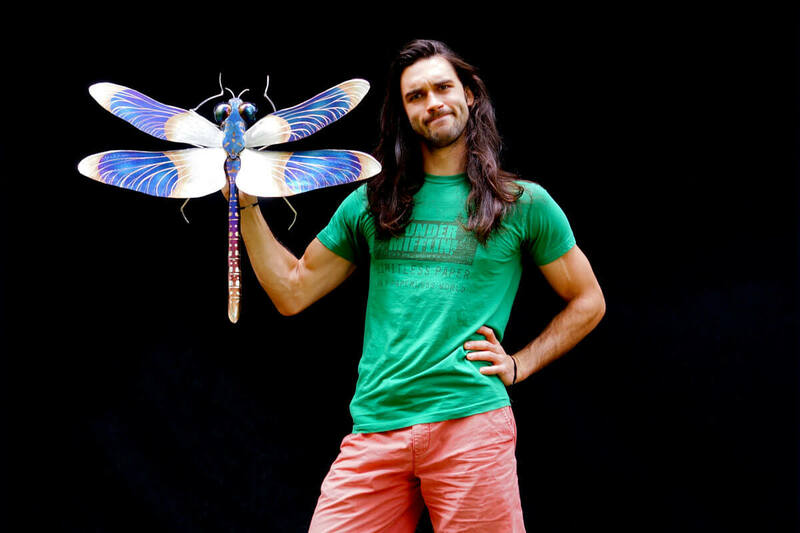 Artist Aiden Dale with dragonfly sculpture. 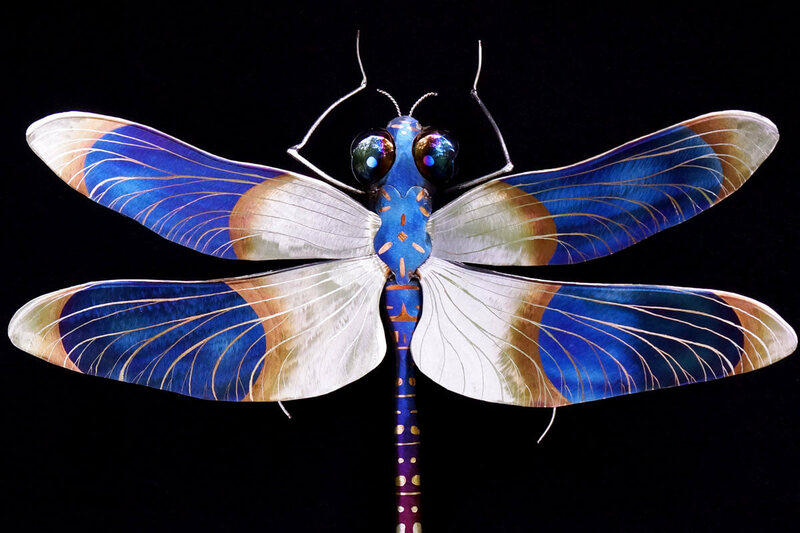 Tilted view of dragonfly sculpture. Close up of dragonfly wings. Close up of dragonfly body.